distress sale specialists - get the new list here! Welcome to Innovative Property S.L. 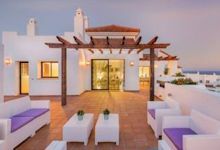 Quite simply we are experts in finding luxury, price reduced & yet still exceptional properties here around Marbella and on the rest of the western Costa del Sol. From our branch offices we cover key areas between Benalmadena and down to Sotogrande. 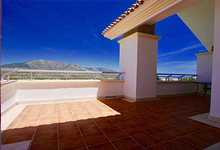 If you are looking for that special property in Marbella or on the Costa del Sol then we can help you find it. 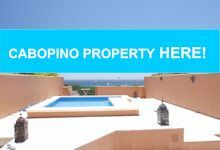 Our goal is to find you a unique property in Spain, something truly special that you will really enjoy owning without losing the investment potential. We are proud of our impeccable reputation in the Spanish real estate industry and because of this we have not only an exclusive selection of properties for sale from our own owner clients and refferals, but also from bankers & inheritance lawyers. Innovative Property have established solid relationships with other property professionals and have access to properties from over 800 agencies on the coast. The Costa del Sol is the jewel of Andalucia and is famed for its lifestyle, traditions, golden sandy beaches, stunning ports, and year long hot and sunny climate. This diverse and beautiful area has been a mecca for foreign buyers and investors for years, but now in the wake of the recession there has never been a better time to buy in Spain. Covering all the popular areas including: Marbella, Puerto Banus, Mijas Costa, La Cala, Cabopino, Calahonda, Fuengirola, Elviria and Estepona to name but a few, Innovative Property has a trusted team of professionals waiting to take your initial enquiry, show you some perfect properties and help you from start to finish in a relaxed and professional manner. 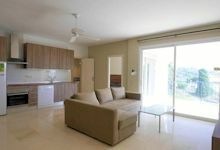 We can help with financing and can help you get the best mortgage deals through direct meetings with banks and expert independent mortgage advisors in Spain. As a client you are welcome to choose your own legal representative or we can offer you a list of the best solicitors in Marbella and surrounding areas. Initial consultations with these experts are always free of any charge or obligation and should give you a usefull insight in how you would like to proceed in cases such as a Golden Visa or just general financing of your purchase. The Innovative team speak over 10 languages and have lived on the Costa Del Sol for many years so know it well! This ensures you can always speak to us in your own language with the peace of mind that you are dealing with seasoned professionals, we also have established partnerships with many local lawyers that are also multi-lingual to help you understand all the legalities of purchasing property in Spain. We have properties available right now in some fabulous locations. 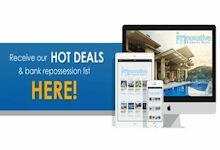 GET IMMEDIATE ACCESS TO THE PROPERTY DATABASE OF OVER 40,OOO PROPERTIES - click here to SEARCH NOW..
BROWSE SELECTED PROPERTIES BY AREA HERE!